Since we are approaching Thanksgiving, it’s a great time to talk to your children about thankfulness and gratitude. You can work with them on handwriting, and they can work on notes to send to friends and family who live out of town. If you are having a big Thanksgiving meal, they can make place mats and place cards. They can add little personal touches to encourage the recipient with words and artwork. If they receive gifts, you can work with them on writing Thank You cards, too. You can start a Thankfulness or Gratitude Journal, and each member of the family can have a page or section to list things they are thankful for. Writing things down puts the information into your children’s minds in a different way, and it is a nice change of pace if they have been practicing handwriting skills. 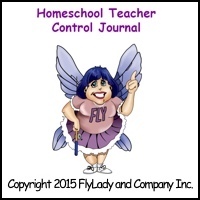 If you need more help with organizing your home and homeschool, you can download The FlyLady’s Homeschool Teacher and Homeschool Student Control Journals for free. Start the Day off with a Shiny Sink. Don’t leave the breakfast dishes sitting. Clean out your refrigerator. Toss the science experiments. Spend 15 minutes loving movement. Write up a menu plan for the next 7 days. Check your pantry and freezer and make a grocery list. This habit will save you time and money. Try out some new recipes with the slow cooker. It will save you time once you start back to your school schedule. Family Fun: Take your children for a walk. This entry was posted in home education and tagged FlyLady, gratitude, homeschool by Tami. Bookmark the permalink.